There’s a distinct feeling that Boss Keloid weren’t expecting Herb Your Enthusiasm to receive the reaction that it did. Granted, that’s because very few bands like this ultimately do, and with underground prog-rock and sludge-metal scenes seemingly being more competitive than ever, it takes something pretty special to float to the top of the pile. But as anyone who heard that album will attest to, Herb Your Enthusiasm was replete with the sorts of thrills and unwavering heaviness that fully justified the band’s signing to Holy Roar at the end of last year. But now the wheels have been greased up, the challenge for Boss Keloid is now to keep them moving, something that Melted On The Inch proves incredibly adept at doing. This is a band clearly tightening and streamlining their sound, but even then, at six songs clocking in at around forty minutes, Melted On The Inch is merely a more precise version of what came previously, without losing any progressive intent or scope. Probably the closest comparison is Mastodon’s The Hunter in its proficiency in condensing such a hefty package into its tightest elements, but even then Boss Keloid remain sprawling and ponderously weird on tracks like Tarku Shavel, something that really only makes them sound even bigger. It makes sense given how much ‘60s and ‘70s prog feels used as a reference point here, with the incredibly tight, winding guitar work on Peykruve or the electro-funk bass of Lokannok, and even in Alex Hurst’s booming, theatrical voice that’s never too set on sounding all that serious. There’s very much a lightness that underscores Boss Keloid, but when that never impedes on the doom-flavoured creep that meshes so well with the prog elements. The knife-edge balance between portentous, head-crushing riffs and a lighter, more playful side is executed almost flawlessly, and the fact that these extended songs still give the band space to rumble and expand their sound as much as they want is the most key asset here. Everything feels in its place to work, but never calculated; Melted On The Inch not only feels like the best possible outcome for what this sort of heavy prog-metal can achieve, but also for where Boss Keloid could have taken their sound next. With all that said, there’s something so appealing in what Boss Keloid are doing here, not only for the prog and doom fans they’re already guaranteed to win over, but for a more widespread audience interested in genuinely creative and forward-thinking music. There’s huge potential for Boss Keloid to go far, and Melted On The Inch only serves to funnel that path into the quickest, most direct route to take. In terms of fun, exciting and boundary-pushing music, this is about as good as it gets. 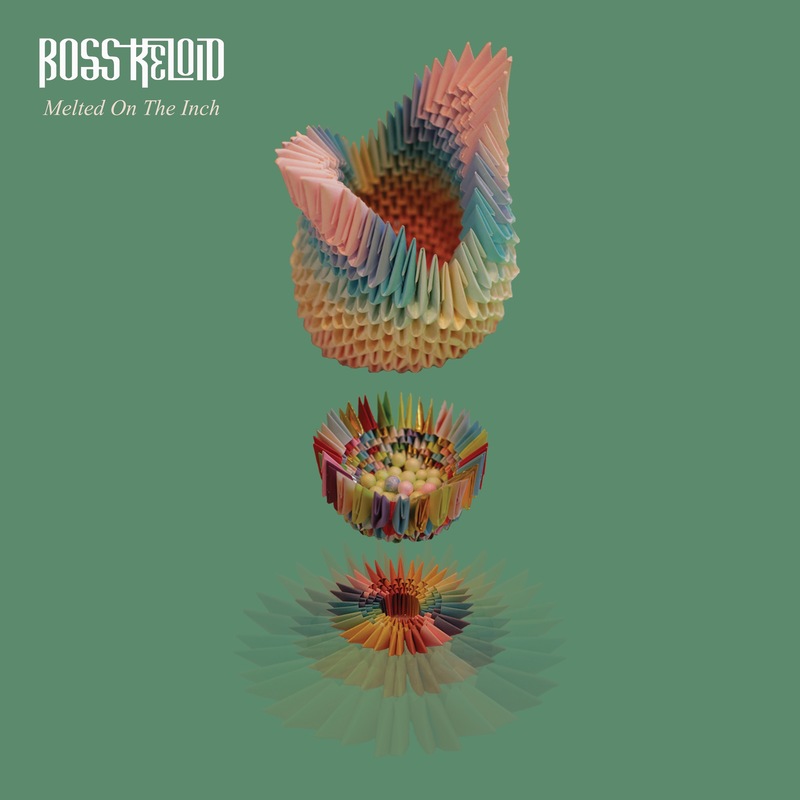 ‘Melted On The Inch’ by Boss Keloid is released on 27th April on Holy Roar Records.